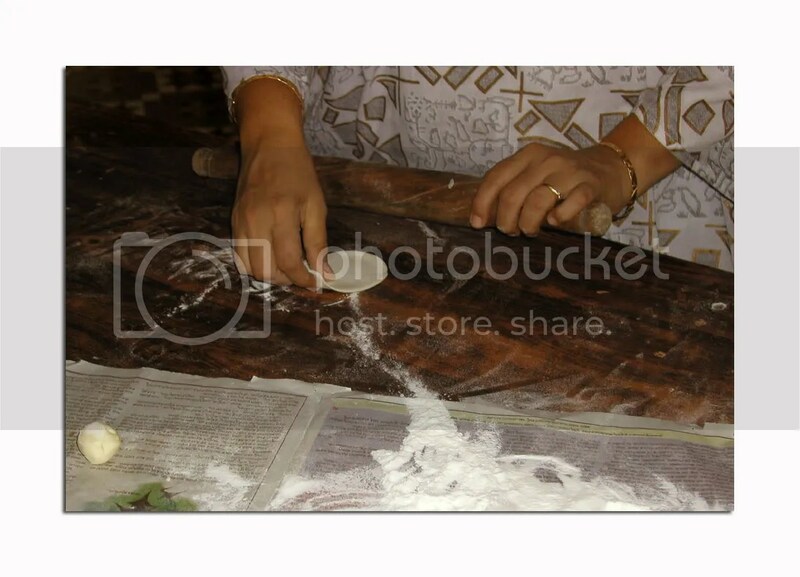 During the annual Ganapati festival, our house in Colaba is a bee hive of activity. See my earlier post on shopping for flowers at Dadar. 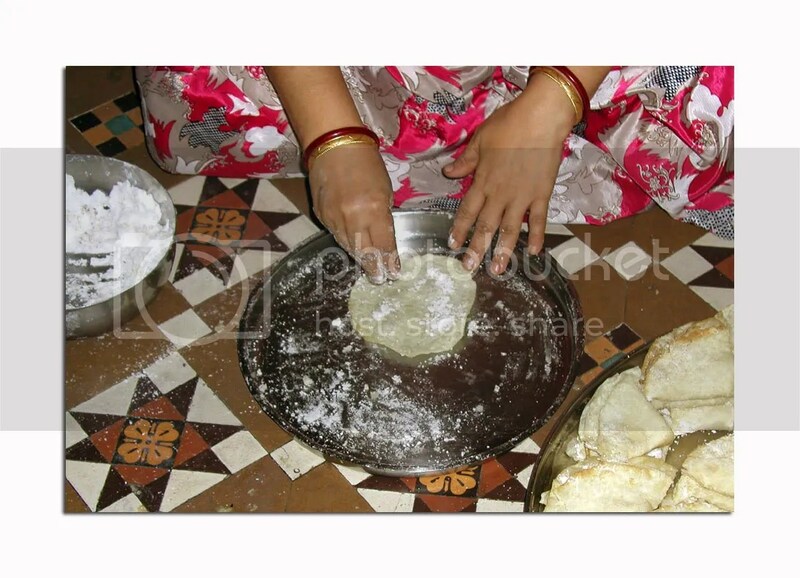 For weeks before the festival, the women are busy preparing konkani delicacies from scratch: Cheeroti, Chackli, Gaanti, sweet and spicy diamond shaped shankar-pali, Puran-Poli, Nevri (Karanjya), Chevda, Mando, and a variety of ladoos. 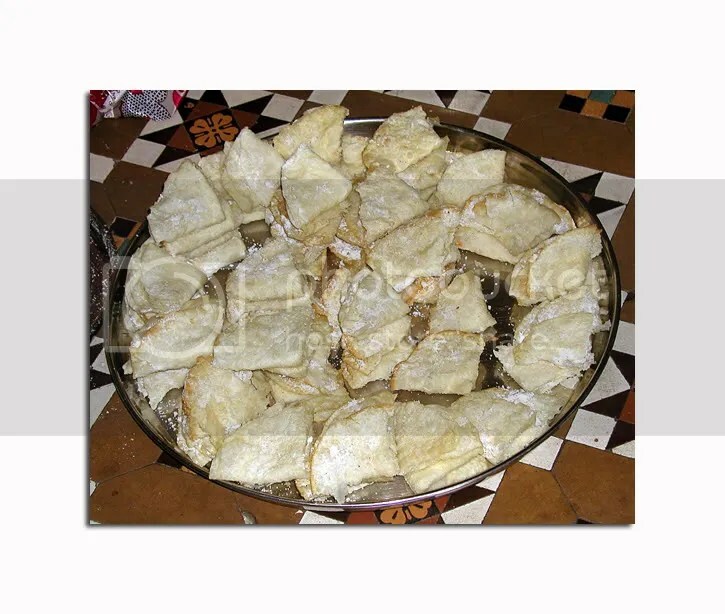 Here are a few pictures of cousins and aunts making “Mando.” Its a simple maida atta (all purpose flour dough), rolled thin, quick fried and sprinkled with confectionary sugar. Fold when very warm and it hardens to a crisp. I like to reach in and pick the Mando when it is still warm and starting to harden. A few slaps on the wrist are definitely worth it. Yumm! Could you please post Mando recipe. I’ve been searching for this from a very long time. Surya – will certainly look for one and see if I can post it.